NORTH BEND — Situated at the base of Mount Si and Rattlesnake Ridge, with spectacular views all around, the Mountain Vista at Cedar Falls community is in its final selling stretch with half of its homes sold. The Toll Brothers community boasts five luxury floor plans, all of which are currently available, ranging in size from 2,976 to 3,267 square feet. Homebuyers who purchase at Mountain Vista at Cedar Falls by April 28 will receive limited-time incentives, including a $25,000 bonus which can be used toward closing costs or design features, as part of the builder’s National Sales Event. They’ll also receive $4,800 for design studio upgrades and an additional $4,000 toward finishes if they attend the “Brunch & Browse” design studio tour on April 13 from 10 a.m. to noon at the Kirkland Design Studio, 101 10th St. S., Suite 102, Kirkland. Five floor plans, all of which are currently available, range from 2,976 to 3,267 square feet. Finney says that the ability to personalize sets Toll Brothers homes apart from others in the area. Homebuyers can choose appliances, designer lighting, hardwood flooring, countertops, outdoor living features, security, home automation and electrical upgrades. Finney says all of the homes at Mountain Vista at Cedar Falls offer their own unique features. The Jackson plan has a covered rear patio included in the base price, which is normally a $16,000 upgrade. 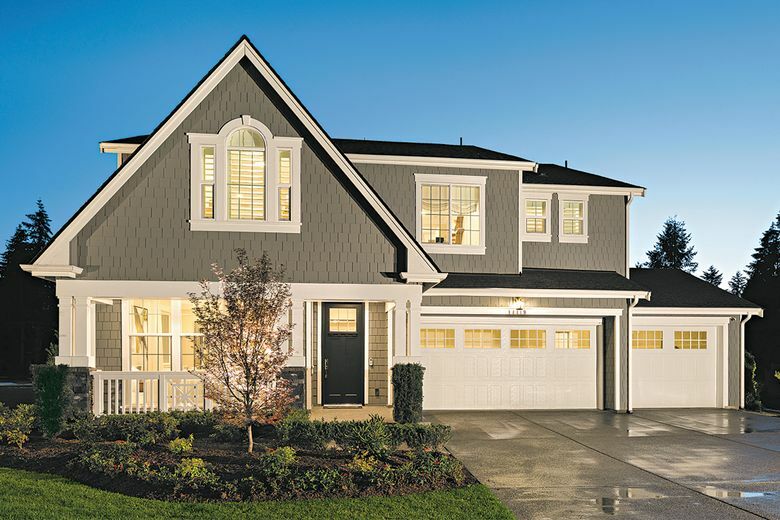 The Salish plan, one of the community’s most popular homes, is distinctive for its two-story great room that creates a grand environment for entertaining. The Broadmoor has a second-floor deck on the front of the house that makes it easy to enjoy panoramic views. The Tekoa features a three-car garage and abundant storage. The Anacortes has a luxurious master bathroom with a frameless, glass walk-in shower and oversized tub. Mountain Vista at Cedar Falls offers swift access to I-90 for trips to Issaquah, Seattle and Bellevue. It is served by the Snoqualmie Valley School District and walkable to Opstad Elementary along a picturesque nature trail.